1953 Ferrari 340/375 achieved over $12 million at the RM Auctions at Villa Erba (Concorso d’Eleganza Villa d’Este) sale of historic and classic cars. Top results were achieved at the biannual Villa Erba auction of classic, historic, and super cars held in conjunction with the annual Concorso d’Eleganza Villa d’Este on Lake Como in Italy. The 40 lots offered by RM Auctions fetched over €27 million with five cars achieving over a million euro each. 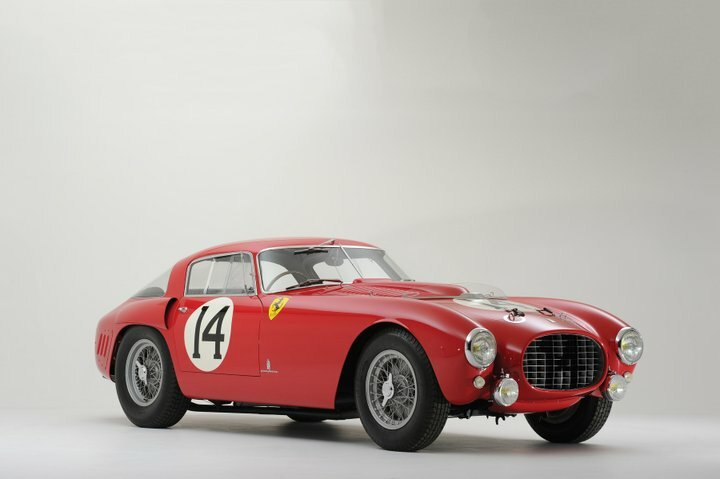 A record $12.8 million were paid for a 1953 Ferrari 340/375 Berlinetta – the highest price paid at auction for a car since the record $16,390,000 paid for a 1957 Ferrari 250 TR in 2011. A quarter of lots exceeded pre-sale estimates while a fifth of the lots were not sold. Only three of the eight antique (pre-1930) cars were sold. The 1953 Ferrari 340/375 MM Berlinetta ‘Competizione’ by Pinin Farina sold for a record €9,856,000 (US $ 12,812,800). 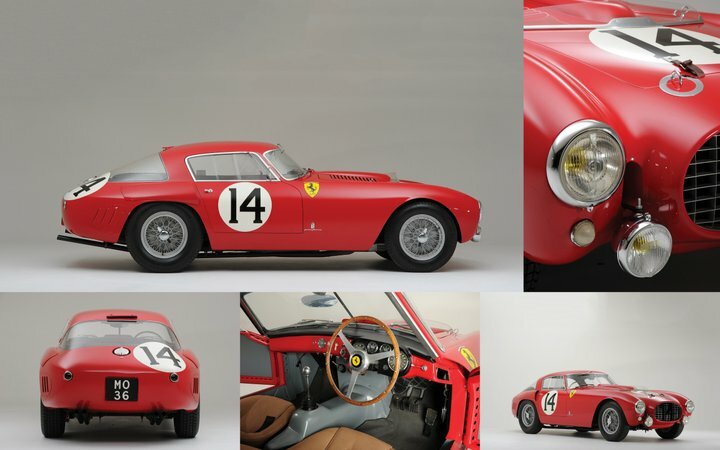 This was the highest price ever paid for a closed Ferrari Berlinetta, the highest price for a 340/375, and the highest price paid at auction for any car since the all-time record set by a 1957 Ferrari 250 TR in 2011 at $16,390,000. The 1953 Ferrari 340/375 MM Berlinetta ‘Competizione’ was one of three works 375 MM entered at the 1953 24 Hours Le Mans. It also competed at Spa, Carrera Panamerica, and won the 12 Hours of Pescara. It was driven by three world champions: Hawthorn, Ascari, and Farina. See Top-Ten List of Highest Prices Paid for Classic Cars at Public Auctions in 2013 for the THREE cars that sold for even more this year. The second highest price paid at Villa Erba was for a 1962 Ferrari 400 Superamerica SWB Coupé Aerodinamico by Pininfarina. 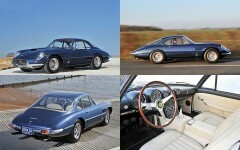 The car was the 12th of only 36 built by Ferrari to individual requirements for special clients. This 400 Superamerica has a 340 hp, 3967 cc SOHC V-12 engine with three Weber 46 DCF carburetors, and four-speed manual transmission. It is the more desirable short wheelbase with covered headlights. €2,184,000 ($2,839,000) was paid for the 1962 Ferrari 400 Superamerica SWB Coupé Aerodinamico at the RM Auction at Villa Erba. The 1905 FIAT 60HP Five-Passenger Touring by Quinby & Co. was expected to be one of the highlights of the RM Auction at Villa Erba in 2013. This is the only surviving example of the twenty built and is in complete, unrestored condition. This Fiat was considered the first super car with performance (and price) exceeding anything offered by the competitors. Kaiser Wilhelm II of Germany took delivery of the second car built. The car on offer was built for the American-based brewer August Anheuser Busch Sr., who ordered it on advice from the emperor. €1,300,000 was the highest bid for the Fiat at the Villa Erba auction but failed to clear the reserve. 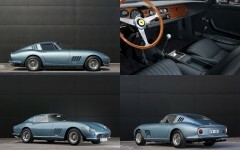 A 1965 Ferrari 275 GTB by Scaglietti sold for €1,120,000 – the third highest price paid for a car at Villa Erba this year. The 275 GTB was the last Ferrari that generally could do duty both on the track and road. 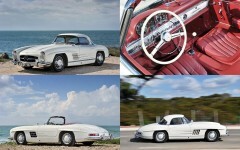 A 1962 Mercedes-Benz 300SL Roadster surprised by achieving €1,114,400 – far above the €650-800,000 guide price estimates. The Mercedes is in superb condition and has covered just over 34,000 km since new. The 300 SL Roadster with factory supplied hard top was the only classic Mercedes Benz car offered at the Villa Erba sale in 2013. Classic (and modern) Ferraris tend to sell at top-end prices and with 15 of the 40 lots offered at the Villa Erba RM Auctions in 2013, it is no surprise that Ferrari dominated the list of the highest prices paid. Except for the Mercedes 300 SL, all other of the top-ten highest prices paid at Villa Erba were for Ferraris. The modern, but very rare, 2004 Ferrari Enzo and 2010 Ferrari 599XX both exceeded a million dollars. As did a 1985 Ferrari 288 GTO, a car that had inspired many supercars that followed in the late 1980s and 1990s. Antique cars (pre-1930) faired less well at the Villa Erba auction. Of the 8 pre-1930s cars on offer, only three were sold. 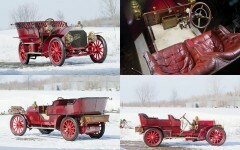 The oldest car on offer, a very rare 1905 Fiat 60HP Five-Passenger Touring Car by Quinby & Co, failed to make the reserve despite achieving a highest bid of €1,300,000. Two Bugattis and two Bentleys also failed to sell. 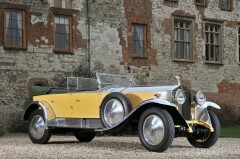 Two further pre-1930s Bugattis were sold, as was a 1929 Rolls Royce Phantom I (and two 1930s Bugattis). See also the top prices paid at car auctions in 2011 and 2012.